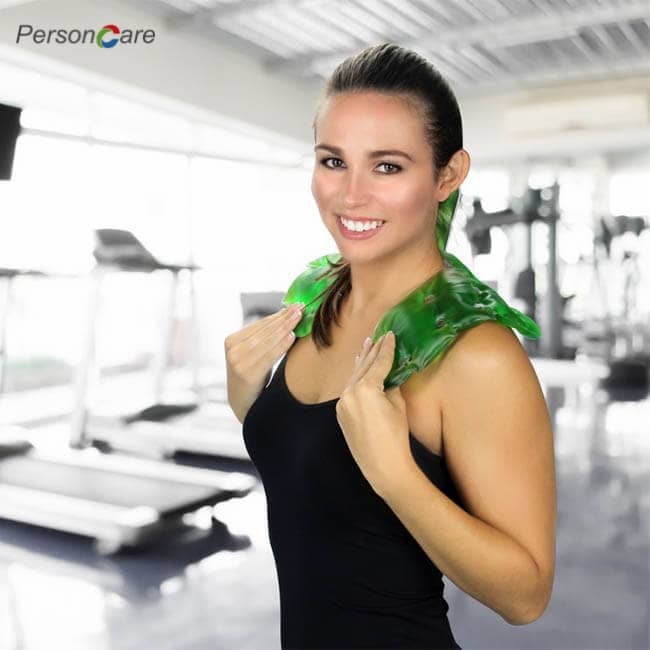 The PersonCare gel pad provides instant, portable and re-usable heat and is easy to use - Can be used again and again - The heat produced by the innovative use of the salt based solution, Sodium Acetate. 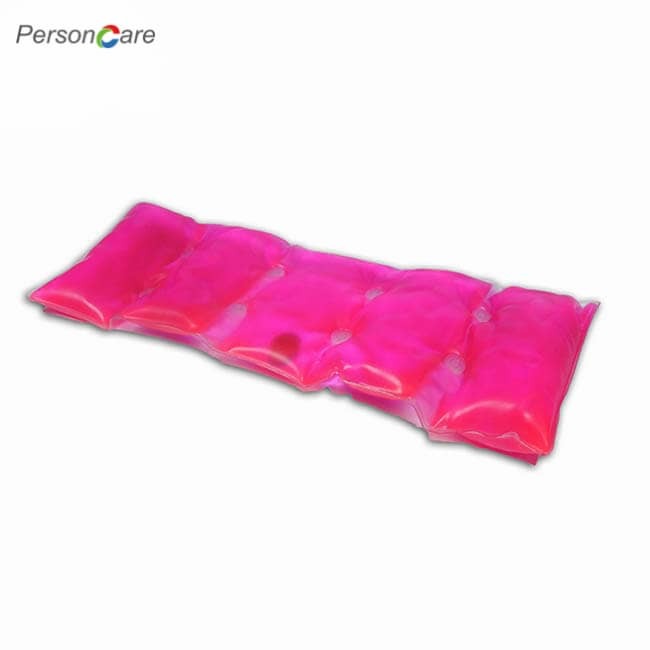 Just a simple click of a button and the temperature soars up to 54C - Safe and non-toxic (contains a safe food grade salt) - These instant heat pads are the next generation of hot water bottles. It will not scold the skin - Completely portable - use it anywhere - Ideal for the relief of muscle and joint pain, allowing heat to penetrate problem areas such as the neck, lower back and sports injuries - The pad for lower back helps to strapped to specific areas of the body without constricting mobility. 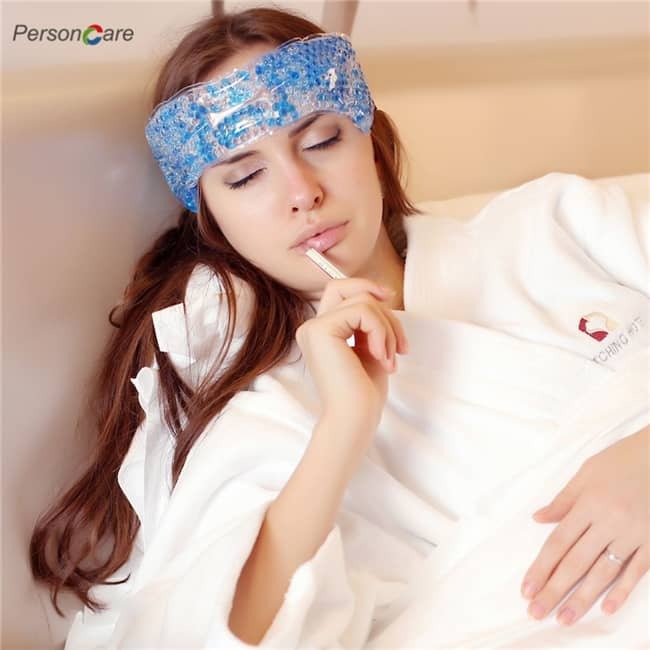 Gives instant heat at the click of a button - Excellent stress reliever (therapeutic - tor aches and pains) - Ideal for improving circulation, focusing heat on specific points of the body and as an alternative to massage treatments, for yourself and others. Available in different sizes and shapes for different uses - Great for sports, camping, fishing & the outdoors. 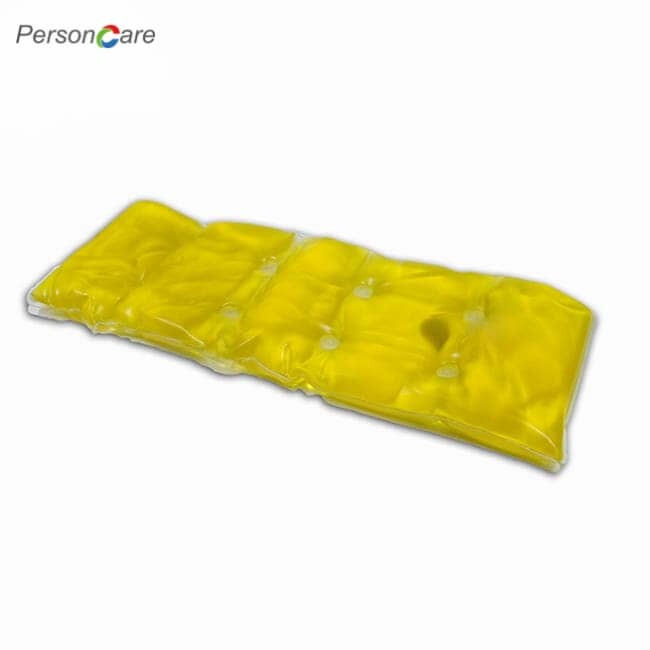 PersonCare Gel Pack is an instant, portable and reusable heating pad. 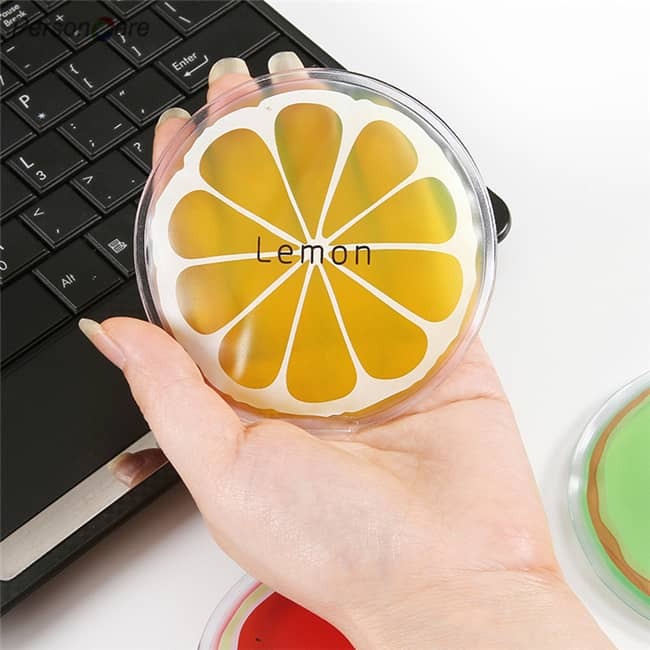 At a click of a button, the pad will reach 54°C (130°F). Our pads contain a non-toxic salt based solution called Sodium Acetate in a sealed plastic bag. Products are reusable 1000’s of times, proving an economical solution for personal or commercial use. The nontoxic mineral salt used in the pad called “sodium acetate” it is a food grade salt momently used in the food industry - for example you can find it as a taste addend in salt and vinegar crisps. The salt is mixed with water and sealed in PVC outer “Skin” in oxygen free environment to prevent the salt from crystallizing without a “trigger , when the metal disc is flexed it kick starts a chain reaction of rapid crystallization of the salt which create a high temperature in seconds this is what we call an “exothermic reaction”. Gently flex the metal disc that floats in the salt solution, you should see the salt crystals forming quickly and the pad changes color and heats up. Gently massage the pad to break the salt crystals into to a softer texture and use the pad. After a period of time the pad will become solid and cold. When you have the time – place a cloth on a bottom of a pan and fill it with tap water. Place the pan on the stove and bring the water to boiling. Place the pad in the pan (even if the shape of the pad does not fit the pan the pad will liquefied and fit into the pan in no time) until the pad is completely liquefied, make sure that there are no crystals in the pad (even one crystal will cause the pad to recrystallizes) and store it until the next use. What Are You Still Waiting For? Click “Add To Cart” Now & Booking one!